[UPDATED] The Bill which will put an end to the practice of negative gearing on investment properties has now been introduced into Parliament. Revenue Minister Stuart Nash this week released the dry-sounding Taxation (Annual Rates for 2019-20, GST Offshore Supplier Registration, and Remedial Matters) Bill. The Bill implements new tax legislation intended to ensure greater fairness in the way the tax system shapes commerce, investment decisions and social policies, he says. 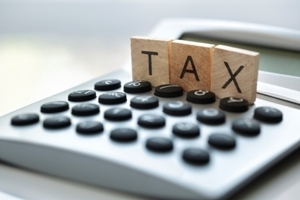 One of the major tax policy changes contained in the Bill deals with the proposed ring-fencing of tax losses from rental properties, which the Government consulted on earlier this year. “The proposed change will mean residential property investors no longer get a tax break by using losses on rental properties to offset the tax payable on other sources of income such as salary and wages,” Nash says. Currently investors with loss-making rental properties can subsidise part of the cost of their mortgages through reduced tax on other income. But the Government does not like this practice, saying it allows investors to make tax-free capital gains when they sell their properties. The Government also claims it helps investors to outbid owner-occupiers for properties. Nash says that, in conjunction with the extension to the bright-line test, ring-fencing losses from rental properties will make property speculation less attractive. Many investor advocates are staunchly opposed to the proposed ring-fencing of rental losses. They say the change will deter many investors from going into the provision of rental property as when starting out many investors rely on losses to get by. Additionally, rental property providers already pay tax on the rental income generated by their properties. For Gilligan Rowe and Associates managing director Matthew Gilligan, the policy change is actually socially regressive because high net worth, high income people will be far less affected. “On the other hand, those with lower incomes and higher LVRs will surely be served up as insolvent dishes to people in better financial positions as they struggle to cope with spikes in rates and lose the ability to get tax relief from such fluctuations because of ring-fencing. "The policy will increase the polarisation of wealth from poor to rich if interest rates go up." REINZ chief executive Bindi Norwell says they are concerned about the impact the proposed loss ring-fencing rules may have on the rental market, particularly in high-density residential areas that already attract high rent prices. “We consider restricting the use of rental losses for investors could negatively influence the rental market, either by investment property owners passing on the cost of the reduced benefits to renters through increased rental prices or making rental ownership a less appealing investment choice. "This may lead to a reduction in rental properties, thereby increasing pressure on the rental market and driving up rental prices. “This is particularly undesirable in the current environment whereby home ownership is at its lowest level in 60 years and the number of people living in rental accommodation is increasing at a greater rate than those living in their own homes." *The Bill is expected to have its first reading on 12 December 2018. More information on the Bill is available here. "The Bill which will put an end to the practice of negative gearing on investment properties . . "
You can still negatively gear, but under the proposed rules you will not be able to deduct the loss off your taxable income until the property eventually becomes income producing. The Government actually gets no more tax in the long run unless you sell the property while it is still losing money.